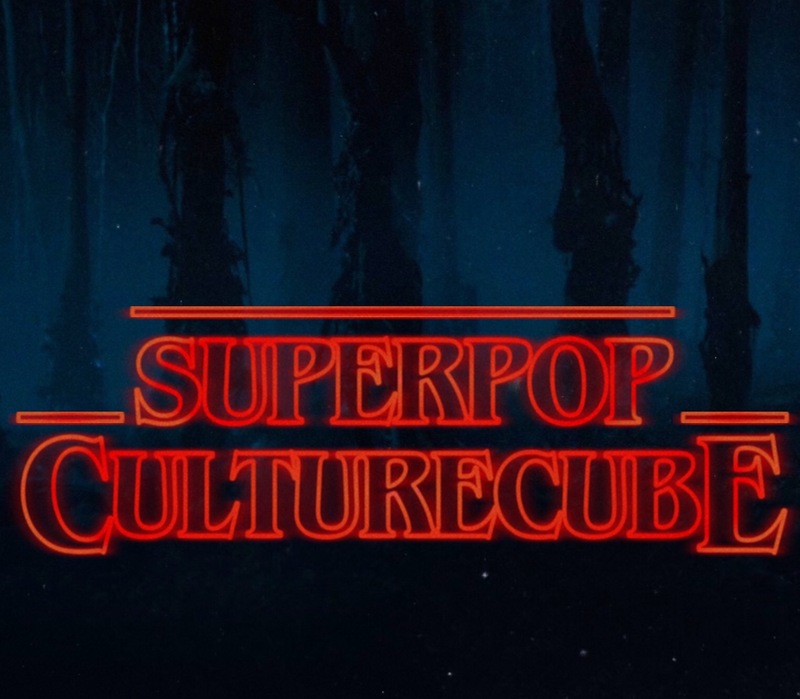 SuperPopCultureCube: Is Geek Blogging Dead? And, just like Rev. Lovejoy trying to give advice to Ned Flanders (“Short answer yes with an if, long answer no… with a but.”) there’s no straight-up affirmative or negative way to decide whether it is or not. Some say yes, some say no, some say it’s just evolved into other media, like dinosaurs evolving into chickens. Now, let me firstly preface this piece by stating, unequivocally, that I’m not one of the Great Geek Bloggers, so I don't come to this with their experience and perspective. I’m a lesser light at best, probably more accurately described as a hanger-on. The big bloggers (the West Week Ever’s and the Dinosaur Dracula’s and so forth) actually put out consistent content and drive conversations. That ain’t me. But, I certainly tried. Back in 2010, like a kid from the sticks who thumbed a ride to New York City with stars in his eyes, I entered into the blogging scene - after reading all the “right” articles and so forth - with a dream of hitting it big and getting richer than astronauts. I started this blog, bought my domain name, produced my content, signed up for ad thingies (whatever they’re called), started a Twitter profile to promote it, and just waited for the hits, clicks, comments and money to roll in like a tide. Not surprising, right? By the time I’d entered the market, there were a ton of other nerd/geek blogs out there, large and small, doing what I'd envisioned, but doing it better. And, honestly, trying to keep up with the latest nerd news, carve out a new niche for myself in cyberspace, and keep the blog going - in addition to having an actual job and a life - ended up being way too much. And in the end the blog went to the wayside, to be occasionally picked up again with the best intentions before being put down again. I think that’s the case for a lot of us. Honestly, there have been plenty of times I’ve planned to just shut the blog down, only to hesitate. And I’ve been glad that I’ve waited and that it’s still there, so I can foist stuff like this on the illiterate general public (I kid because I love, folks). I’ve been active otherwise. I wrote movie and comics reviews for what I only recently discovered is a now-defunct Canadian website, I’ve been writing on wargaming hobby subjects for over a year now at Gamemats.com, and I’ve had my writing and opinions featured on other sites and even on podcasts (which is always a treat). But is the Nerd/Geek Blog writ-large now a thing of the past? There are a lot of them still out there, still doggedly putting out great content. But are they the force they once were? No, likely not. Media, and how we consume it, has changed at warp speed in the last 10 years, never mind the last 20. Blogs were likely already becoming obsolete when YouTube came into the picture and folks decided to put their content on video instead of the written word. I’ve also heard that the demise of certain aggregators, etc., that made accessing blogs easier helped ease them out of the collective consciousness. Another thing is the podcast revolution. Y’know, it used to be, everybody had an idea for a novel. Then they had an idea for a play. Then they had an idea for a screenplay. Then they had an idea for a novel, again. Then they had an idea for a blog, and now they have an idea for a podcast. Podcasting, which its low cost of entry, and viability for consumption in a variety of venues (let’s face it, you have to sit down and read a blog, but you can listen to a podcast at work, in the car, while doing chores, as you drift off to sleep, etc. ), has supplanted the blog in a lot of ways, and quite a few geek bloggers have jumped into the podcasting arena. Some folks assert that people just don’t read anymore, and that that's killed the blog. Maybe that’s true, but so much of the internet and its content remains texted-based that I just kind of rebel against a simple conclusion like that. As an example: People on Twitter, now that they have 280 characters to work with, are writing MORE, not less, and threads discussing topics have become more numerous. People are reading and writing, still, and in huge numbers, just in different ways. Another issue, and maybe it's just me, but it’s hard to find blogs to read. Most are one-man ventures that aren’t focused on making money (or expending it) so… bloggers don’t advertise. They only way I’ve found blogs to read is, essentially, via word-of-mouth. Now, I’ve heard of the so-called halcyon days of nerd blogging when the bloggers would band together and promote one another, but apparently those days, like the Second Age of Middle-Earth, have passed into the Grey Havens. I think it seems like I may be avoiding the question, so let me answer it bluntly: Is nerd blogging dead? Yes, if taken in a global sense. The days when a nerd blog was going to set the world on fire and become a massive cultural influencer that would earn money to send your kids to college have passed (if those days ever existed), and likely passed 10 years ago. But I think that goes for every kind of blogging, not just nerd blogging. Blogs were a step in the evolution of what those annoying culture mavens used to call "Web 2.0," and now there are other media taking their place. We’re moving on from silent movies to talkies. And that’s ok. It happens. Nobody uses horse-drawn buggies anymore (I mean, except the Amish, but they’re not likely to read this). However, an unspoken assumption in all of this is that a large audience for a geek blog is possible, even desired. A geek blog, by its very nature, is niche, and will appeal, likely, to a small field of like-minded people. These are the people that a blogger would like to have read and respond to their posts. A huge audience brings with it some positives, but also minuses. Now, in a smaller sense, in the personal, community sense, nerd blogs are not dead. Great content is being pumped out every day, every week. A blog only dies when its creator decides that, ultimately, they don’t want to do it anymore. Blogging, in the first place, isn’t supposed to be about getting and building an audience or making money - just like any form or art or creative expression out there. Blogging is about writing about what you like, what’s important to you, and then releasing it out into the aether. If it attracts a following (and pecuniary remuneration), so much the better. It’s being intentional, it’s being authentic in your goals, that matters in blogging. That’s at the heart of the thing. If you’re having fun, you’re doing it right, and the blog will keep on going.